It’s also recognition that audio alchemy is not for everyone. Product designers and engineers – the experts – can curate the electronics and any interconnectivity. We just want to listen. The case here being singular, naysayers will argue multiple cases for separates: about RFI cross-contamination, heat dissipation, dedicated power supplies et al. Fine, it’s your money. 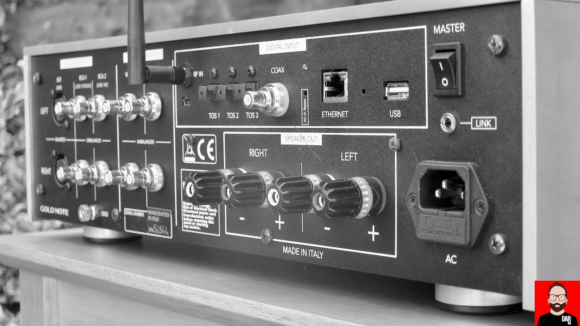 But it’s also your system selection knowledge, your tolerance of a higher box count, their numerous interconnects and the hifi rack to house ’em. In 2018 we are seeing an increasing number of single-box solutions coming to market. A strong countercurrent to separates in a rack and across the floor. Engineers are dialling back the compromises of going all-in-one to deliver simpler systems that sound fantastic. Naim didn’t invest heavily in their new Uniti range on a whim. 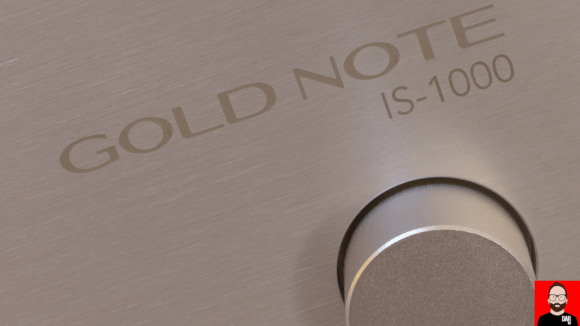 Starting from scratch is valid, Gold Note chose to adapt existing products, filling gaps with OEM technology. Darko previewed the resultant IS-1000 here before catching Gold Note marketing man Tommaso Dolfi at Munich High-End 2018 for an in-the-flesh introduction. …only for the review unit to return to Italy, Mr Ham-Fisted here having somehow jammed a relay. Gold Note hadn’t experienced the problem before. Ever the professional, Dolfi declined to attribute blame. On reacquaintance with the repaired unit, the IS-1000 ran without issue. Facilities are pretty extensive. Being Italian and metal, I half expected it to turn out a decent espresso. The Class A/B amplifier delivers 125W into 8Ω (doubling into 4Ω). Less common: damping factor can be set to High or Low (250 or 25). You choose – transistor control or mellifluous valve vibe. It works well. Less so the Booster option. It basically boosts bass. Setting 1 is okay for quieter listening – think the loudness controls of yesteryear. Setting 2 overcooked for me. Analogue inputs total three. One XLR, two RCA. One of the RCAs can act as a phono input (MM / MC), the other an AV passthrough. Completing the picture are fixed and variable RCA outputs for headphone amps and the like. 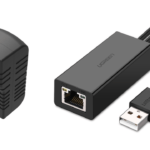 On digital, we see 3 x Toslink, 1 x Coax, and 1 x USB and Ethernet. The trio of optical inputs is likely a nod to the real world of TVs and games consoles to paint this manufacturer as snoot free. The USB input isn’t for computers. It is for external storage drives devices. Apple device runners and can avail themselves of Airplay. The Wifi the aerial pokes its head above the rear parapet. All inputs handle 24bit/192kHz PCM. USB, Ethernet and Wi-Fi also do DSD64 via DoP. Ethernet does it natively as well. MQA decoding is limited to Tidal’s first unfold through the mConnect app. Pricing on this unit registers at €4,200 / £3,820 / US$5,500. An improved version is also available for an extra €700. It has a better DAC (PCM1792A). Tempting, if only to keep the upgrade gremlins at bay. Play it by ear and have the upgrade retrofitted down the line. Networking capabilities are via a ConversDigital card. 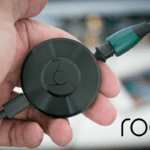 It accesses Tidal, Qobuz, Spotify, Deezer and V-Tuner. The card can also pull files from Dropbox and OneDrive, as well as local storage – NAS and a USB stick for me. The IS-1000 will be Roon Ready once certification is formalised. Until it’s sorted, you can’t upsample to DSD. No big deal. Everything else works fine. Otherwise, Rooners can point their server at the IS-1000’s AirPlay input. And if neither Roon nor mConnect float your boat, there’s always UPnP. Build quality is impeccable, reflecting the IS-1000’s price. Solid, everything lining up perfectly, a seriously neat rear panel, an inert front panel. Heavy too – 18kg. The cutouts for ventilation are precise. And sharp, take care. Overall very impressive. Pride of ownership comes in spades. The optional €180 remote is similarly blessed, its angular cutouts letting it sit naturally in your palm. Whack-a-mole solid too. 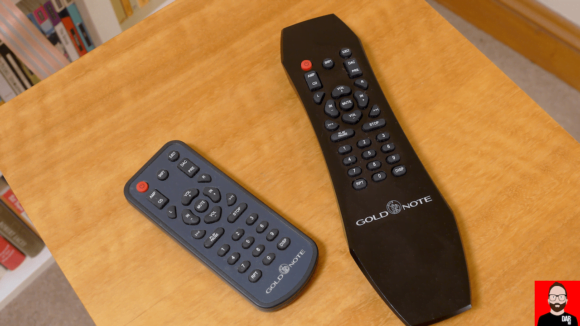 A simple plastic remote is supplied as standard. It works, it’s small, it looks cheap. Treat yourself. My sample was silver, the Bristol Show unit was black. Silver wins for me and by some margin. Whichever – the vibe is ‘discrete sprinkled with chic’. You’ve spent money but don’t need to shout about it. Dolfi tells me a gold version is in the works. Blingy! Styling is light of touch. Gold Note’s vertical cutouts on the left and a small gold logo. A larger logo embossed lightly on the top. Those curved ventilation cutouts. Subtle fascia lettering. Good screen and and the control knob has a nice feel to it. The IS-1000 looks better in the flesh than in the photos. 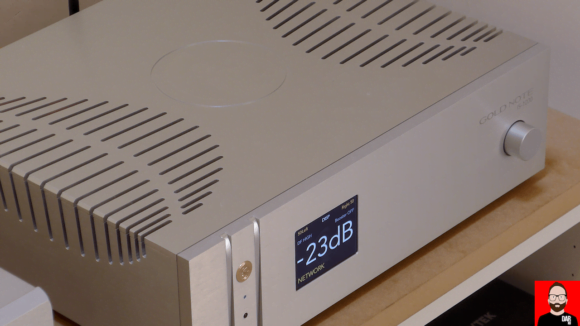 Given the brief – the fuss-free audiophile – it hits the target spot-on. Give some consideration to placement. The Italian runs slightly warm and the Wi-Fi aerial needs some line of sight to the rest of the room. A nearby Wi-Fi reset button also needs to remain accessible. Quickly mastered from the front panel, slightly quirky from the remote. The control knob is multifunction. Rotate for volume, press and rotate for function, press again to make your choice. Sounds fiddly? It isn’t. You’ll quickly be whizzing around the high quality 72 x 55mm display, which is well laid out and shows the key settings. Volume readout is central and large enough to read across a room. Shame it uses a -dB scale though. A nod to audiophiles more than it is cashed-up mainstreamers. Some aspects of the IS-1000’s remote operation are less intuitive. Particularly if, like me, your eyesight isn’t tip-top. Everyday use is fine though – an occasional input change, adjust volume, mute when needed. Easy. So I could live with quirky – I do, I’m otherwise an Ayre user. ConversDigital provide a control app – mConnect – for IOS and Android users. It’s reasonably intuitive. It looks OK. And it covers a lot of sources. More limited is what you can do with them. Sorting Tidal albums by Date Added displays oldest first for example – aaaaagh!. The app is stable though. Pictures speak louder than words, so have a look at the screenshots below. Or download it and play – no need for ConversDigital kit. Overall I’ve yet to use an in-house-developed or re-skinned streaming app that gets anywhere near Roon. mConnect is no different. I did use it occasionally though. My older Mac Mini sometimes drops Roon. Jumping onto Tidal via mConnect was quicker than starting Roon up. On sound quality expressed in absolute terms, the IS-1000 gives nothing to the Ayre AX-7e. The American and the Italian – they do things differently. BMW vs Mercedes, Sauvignon vs Chardonnay. Your preferences will determine which is for you. High damping engaged the Gold Note is clean and crisp, with an almost studio-like clarity of which I have first-hand experience. Bass starts and stops quickly. It’s controlled yet also extended. The opening bars of Lizz Wright’s latest album, Grace, hit straight between the eyes. No messing. With the Ayre it circles before assaulting you. Like running the Harbeths without the usual foam bungs in their ports. I tried it – yup – just like that. Treble is extended, detail slightly more abundant than the Ayre. Both cut through complex mixes to communicate musical intent though. The Ayre provides a very clean window on the performance. The IS-100 dispenses with the window. Both present a big soundstage – wide and deep, the Gold Note portraying musicians even more precisely than the Ayre. The IS-1000’s acoustic space communication is also different. It’s live, less damped than the Ayres. Not dry though, definitely not dry. Occasionally it tips over into hot. See Randy Crawford’s soaring vocal at the beginning of “Street Life”. For something sweeter, we engage Low damping, which bestows a little honey to the top end. That’s a little. And honey – a natural sweetener, not artificial. Cellos and other midrange champions heard via the IS-1000. They sometimes come up a shade short on richness, but emotion is still conveyed. Sheku Kanneh-Mason’s version of “Hallelujah”, with its string accompaniment, tugs the heartstrings with its beauty. The IS-1000’s directness replaces the Ayre’s luxuriant as the active ingredient. Both achieve the same end. Returning to Low damping, the effect on mid and upper frequencies is subtle, adding refinement to the clarity. Lower down, the bass is fuller. Occasionally over rich but generally just offering more body. I warmed to its charms. Well-sorted valves – what it promised on the tin. Useful to have the option. If you want the IS-1000 in one sentence: it has the same sonic signature as the ECM record label. Cool but not detached. Refined rather than full. Measured. Yet that sound translates well to other genres. Classical appreciates the precision, rock & pop work surprisingly well. Adele’s bombast in Hello just powers out of the speakers with impressive clarity. It can sound bright, not here. Occam’s Razor from Porcupine Tree opens with a wall of sound – flailing guitars, heavy drums – only for it to drop back to solo acoustic guitar. You hear the instruments that comprise the wall. You also get the power. Then the delicacy of the guitar. Wonderful. Counterintuitively, Low damping suits heavier tracks well, add a little richness and weight back into the mix. 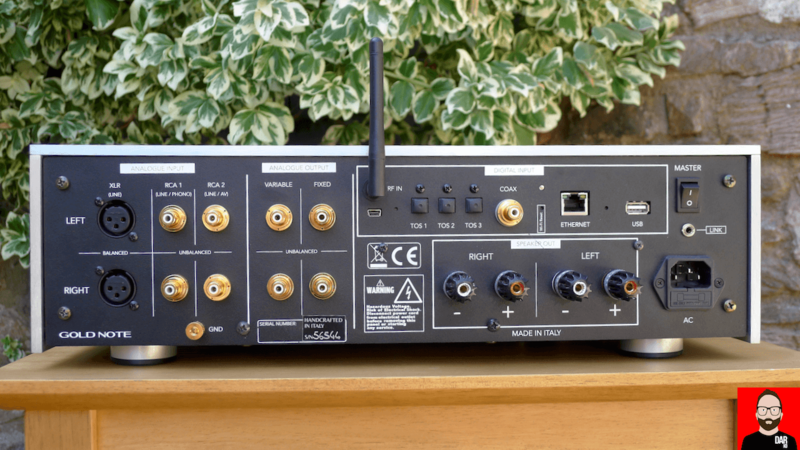 My Mytek Liberty review included a comparison to the IS-1000 running as a DAC. Their characters are very similar, the Liberty just edging ahead via Ayre’s AX-7e analogue input. This delta vanished once the IS-1000 amplifier was brought into play. That implies benefits to the DAC being part of an end-end design, that single manufacturer-derived synergy can be exploited. If so it’s another argument in favour of integration. 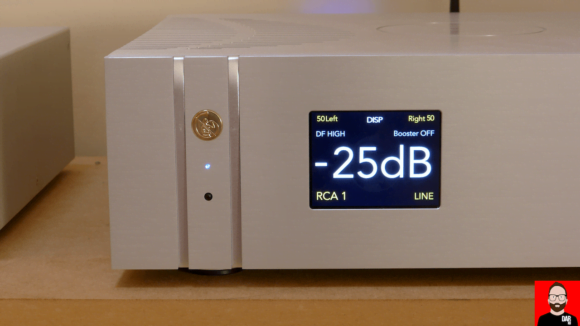 Whatever, the IS-1000 DAC proved itself a fine performer. Plumbing a Meridian Explorer 2 in via a USBridge reinforced the conclusions from the Mytek Liberty review – the Explorer is out of its depth in this company. Softer all round. Less incisive. Transients dulled and bass looser. More difficult to place instruments and performers in their acoustic space. Occam’s Razor reverted to a homogeneous wall of sound. Lizz Wright’s bass thudded into the room rather than attacking. Game over. Quickly. With comparable files, the IS-1000’s sound quality was pretty consistent across its inputs. The exception being USB, which had a soupcon more clarity than Roon, but also less body. I had a slight preference for USB, although this was music dependent. Not that this delta would be enough to tempt me away from Roon. Navigating folders on a USB drive is a right royal pain. Having no turntable (or vinyl) I was unable to test the phono stage. The Mytek Liberty elevated the Ayre AX-7e amplifier / Harbeth C7/2s loudspeaker combo to a higher level. I expected that the Gold Note IS-1000 might disappoint in comparison. For sure its presentation was different but not necessarily weaker. Used in everyday mode though, without the need to think about upstream DAC and streamer, just enjoying the music, it got under my skin. It can sound warm and crisp-clean, just not simultaneously. This user-adjustable audible personality is not to be underestimated in keeping the upgrade bug at bay. That’s on pure sound quality terms. Add in the lifestyle benefits and the Gold Note proposition becomes more compelling. Obsolescence? Maybe an issue at some point down the line. By then there’ll be an even greater number of super-integrateds from which to choose. The few will stick with separates, enjoying the thrill of the chase – the sport of hifi. The majority just want to plug and play. A single-box solution that pushes performance above the 90th percentile offered by separates but without the hassle and the tyranny of choice. And also for those who want minimalism but don’t want to go fully active on the speaker side, a pair of passives and the Gold Note IS-1000 allows music lovers to specify a complete high-end audio system from only two choices. Those speakers, this amp. Out of the window goes the hifi rack, a mess of wires and the clutter (to leave only the speaker cable in-between). 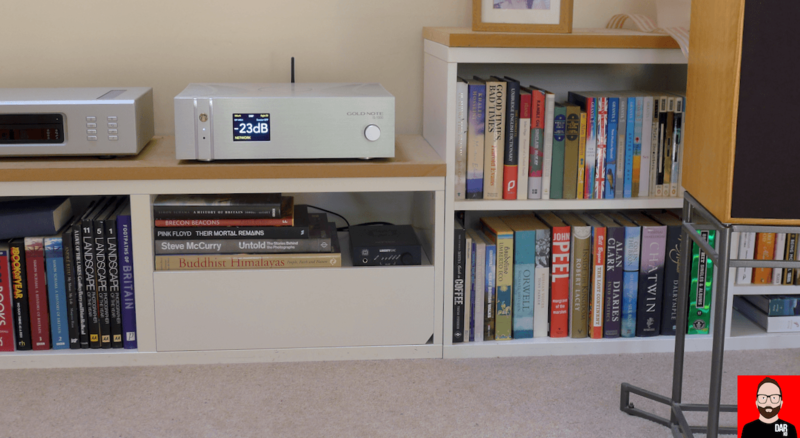 A streamlined hifi solution for modern homes.